I had the pleasure to talk to Jason Fair about his work in bringing Agile to large complex integration projects. This is a topic that I am very interested in and have been writing about lately. You can check out the series of blog posts on Agile Practices in Large System Integration Projects. Jason recently led the delivery of a Lean Agile SAP implementation to deliver SAP solutions to 25,000 users. Leveraging Agile techniques, his team delivered the project ahead of schedule and increased the SAP team’s performance by over 250%. Jason has been leading the way in developing and delivering Lean and Agile SAP solutions to his customers. He is working with industry leaders to challenge the traditional ERP waterfall delivery approach to incorporate Agile techniques to stimulate and increase productivity of project teams and accelerate the benefits realization in ERP initiatives. Jason Fair is the CEO of Genesis Consulting. He is one of the founding Partners to start a new company focused on delivering ERP solutions that help clients achieve their business objectives more efficiently and effectively. He is a Certified SAP Consultant, Certified Project Management Professional (PMP), Certified Scrum Master (CSM) and a Certified Public Accountant (CPA). How did you get interested or introduced to agile? How is the market responding to the introduction of a new Lean and Agile approach to large system integration projects such as ERP? How did you build trust with your client to let you try a new methodology in their traditional environment? Were there skeptics about the applying Agile to such a large system integration project and how did you manage to get their buy-in and commitment? Can you give us an overview about a recent project success using Agile? Where did you get support on agile as you embarked on this effort? Which Agile practices you tried that provided the most benefits? Which Agile practices did you find particularly challenging to apply to ERP? How did you handle data conversions in the new methodology? How about interfaces and report development? What tactics – simple and/or advanced – have you found to be especially helpful when introducing Agile in ERP projects? What final advice do you have for organizations embarking on ERP projects and want to know the best way to introduce Agile to their project? Jason Fair is the CEO of Genesis Consulting. He came to Genesis from BearingPoint, where he served as a Managing Director for the Public Services SAP practice – a position that required strategic vision, commitment to quality, and dedication to client success. 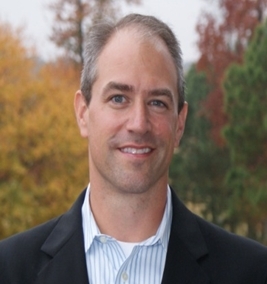 Jason’s responsibilities included leading BearingPoint’s SAP solutions in State and Local Government, Higher Education, Aerospace and Defense, Federal Civilian agencies, Intelligence Community, and Healthcare markets. He has more than 19 years of industry experience, 17 of which he has specialized in implementing SAP technologies and is experienced at effective program management for large-scale SAP implementations, quality assurance and control reviews, business process design, functional configuration, and integration management. Jason has extensive knowledge and experience with leading re-engineering and modernization initiatives for complex financial, supply chain, logistics, production planning, and manufacturing business operations. Jason is a regular speaker at SAP, ASUG (America SAP User Group), universities and various industry conferences.